Regardless of the type of work your performing, one aspect always rings true: productivity and workflow are essential elements to a successful work day. And this very idea of process optimization in the workplace is exactly what BeeWaTec was founded on. Over the years, the group of three companies (Haid, BeeWaTec and BeeWaTec-Systems) has continued to expand their reach to various markets, working to develop integrated workplace solutions that benefit a wide range of industry sectors. 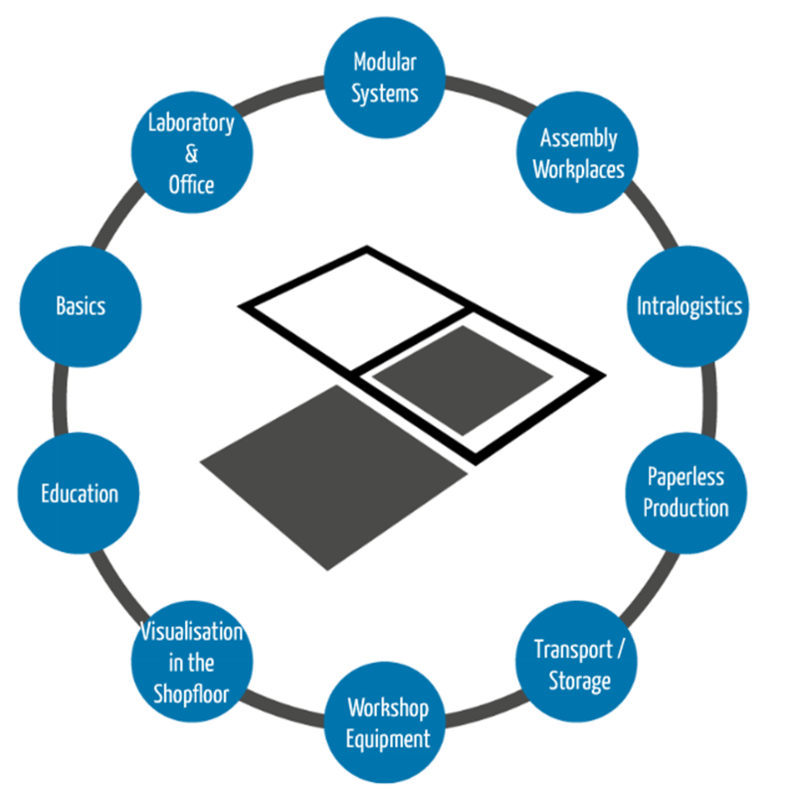 With a hand in everything from modular systems and intralogistics to paperless production and shop floor visualization, BeeWaTec has established itself as a leader in the area of Lean manufacturing, a method focusing on automation and flat hierarchies, ultimately leading to reduction of cost and time. Looking to optimize your workspace designs, too? With a selection of laboratory and office products from BeeWaTec, now available in the pCon.catalog, you have plenty of 3D CAD models to help fit your plans with the best in dynamic and flexible solutions. This entry was posted in Room Planning and tagged 3D CAD Models, pCon.catalog, room planning. Bookmark the permalink.